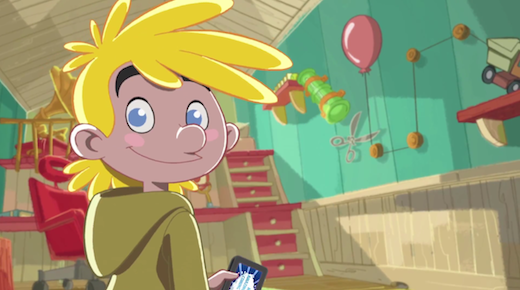 Showing there is life beyond (the hugely successful) Angry Birds franchise, Rovio has today pushed live the official trailer for its new ‘Amazing Alex‘ smartphone and tablet game, detailing the features, levels and social elements of its new title, launching in July. Rovio touts Amazing Alex as an “amazing new physics puzzle game” that offers 100 challenging levels you to beat, requiring you to create chain reactions to complete each level. Switching it up a bit, Amazing Alex won’t just feature levels designed and shared by Rovio. Instead, the company provides 35 interactive objects for gamers to design and publish their own levels (similar to LittleBigPlanet on the PlayStation), meaning there will be a near endless number of challenges to overcome. In May, Rovio CEO Mikael Hed told presenters on Finnish TV channel Yle that the successor its Angry Birds franchise would be called ‘Amazing Alex’ and will be based on the iOS game Casey’s Contraptions, launching in the coming months. He said that the game would feature educational elements and revolve around the main character Alex, ‘a curious young boy who loves to build things’. The Finnish gaming company says that its new iPhone, iPad and Android apps are “coming soon” but notes at the end of the trailer that they will be released in July. We will of course let you know the minute they are published.